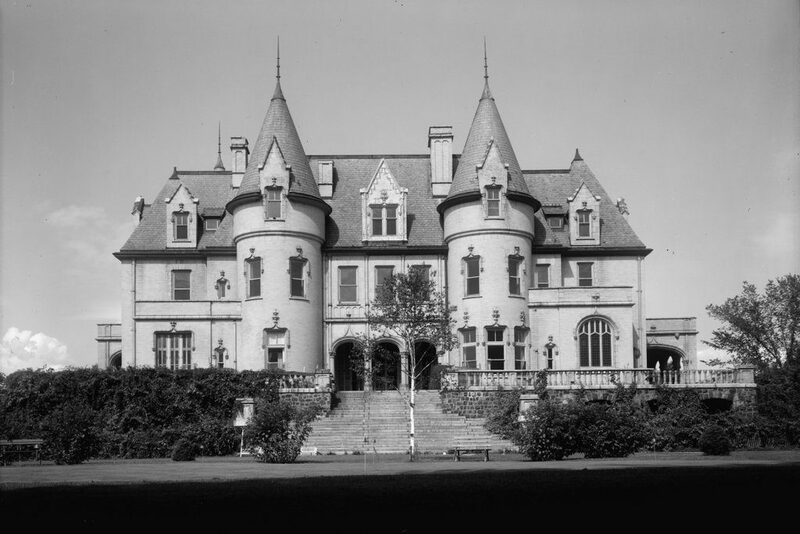 Another view of the Northfield Chateau, at the end of Highland Avenue in Northfield, in 1963. Image courtesy of the Library of Congress, Historic American Buildings Survey Collection. As mentioned in the previous post, this mansion was built in 1903 as the summer residence of Francis Robert Schell, a wealthy New York businessman. He and his wife Mary had begun visiting Northfield in 1890, and originally came here because of evangelist D. L. Moody, who lived in the town and ran the nearby Northfield Seminary for Young Ladies. After the death of his father in 1900, Francis inherited a considerable fortune, and used it to build this 99-room mansion. He hired noted architect Bruce Price, who designed the house in a Châteauesque style that gave it the appearance of a French castle, complete with plenty of turrets, arches, and other embellishments. 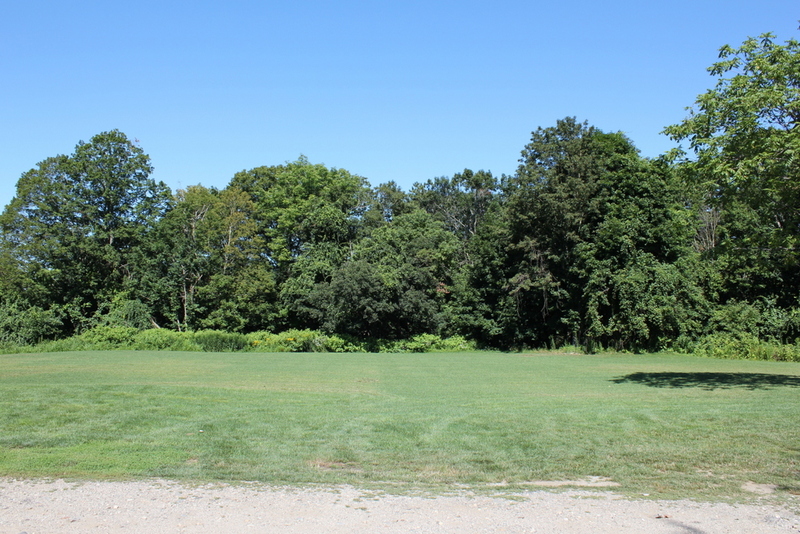 The house was part of a 125-acre estate that Schell owned here in Northfield, and the family regularly visited here for the next 25 summers, until Francis’s death in 1928. Mary outlived him by more than a decade, but she reportedly refused to stay in the house after his death, instead choosing to spend summers at the adjacent Northfield Hotel. The house was eventually acquired by the Northfield School, and was used as an annex for the hotel, as well as a venue for the school’s prom and other events. Along with this, the basement, which had previously been the servants’ quarters, was converted into a youth hostel. It was still owned by the school when the first photo was taken in 1963, but by this point the 60-year-old mansion was in poor condition, and was too costly for the school to maintain. It was demolished later in 1963, and today the site is an open field next to the Northfield Golf Club. The Northfield Chateau at the end of Highland Avenue in Northfield, in 1963. Image courtesy of the Library of Congress, Historic American Buildings Survey Collection. Unlike many other parts of New England, the Connecticut River Valley in Massachusetts was never a major summer resort destination during the late 19th and early 20th centuries. As a result, the area saw few of the grand hotels and Gilded Age “cottages” that were built in places like Bar Harbor, the Berkshires, Newport, the North Shore, and the White Mountains. 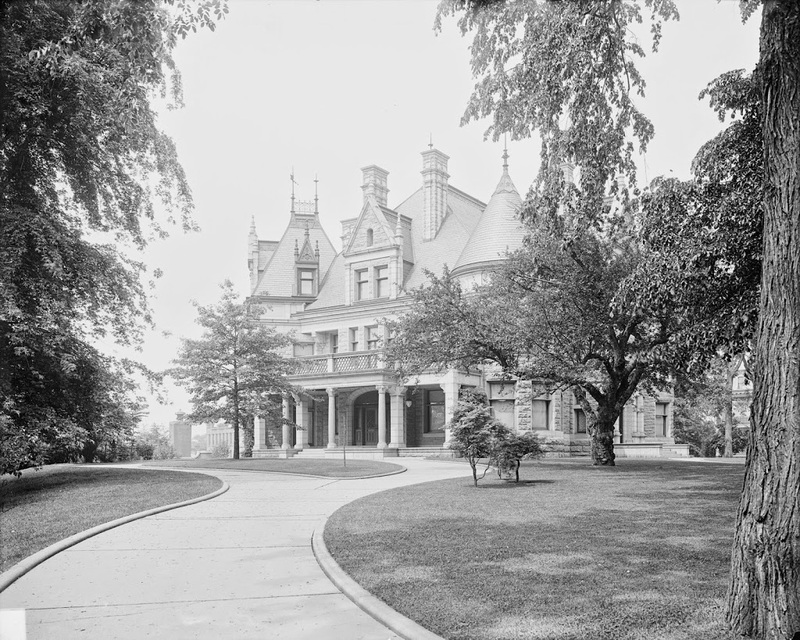 However, one of the exceptions was this 99-room Châteauesque mansion in Northfield, which was completed in 1903 as the summer residence of Francis Robert Schell, a wealthy New York businessman. Francis Schell and his wife Mary first came to Northfield in the summer of 1890, and stayed at the nearby Northfield Hotel. They originally came because of prominent evangelist D. L. Moody, who lived in the town and ran the Northfield Seminary for Young Ladies, but the Schells soon fell in love with the town itself. They continued to return each summer, eventually purchasing a summer house. 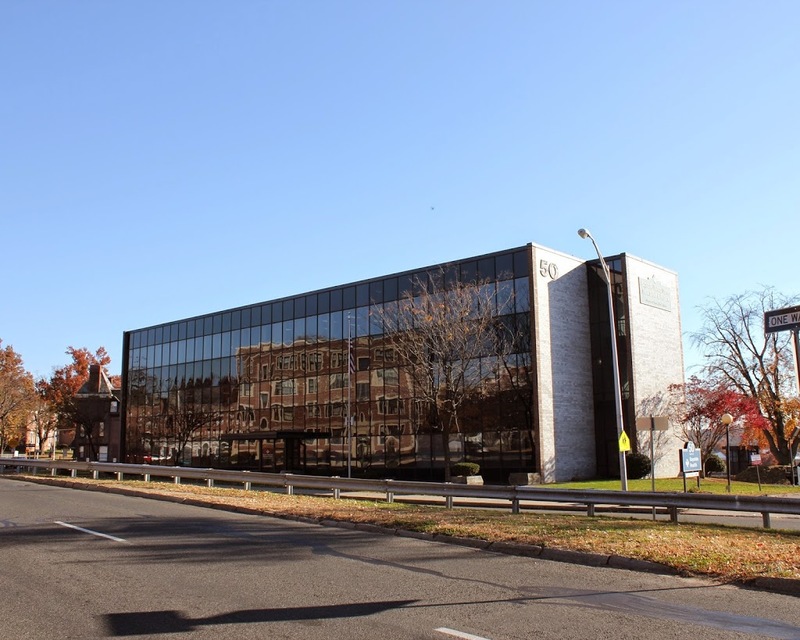 However, Francis’s father, Robert Schell, died in 1900, leaving him with a substantial fortune, and that same year the Schells began planning a massive house here in Northfield. The house was designed by noted architect Bruce Price, and featured a style similar to his most famous work, the iconic Château Frontenac in Quebec. It would have blended in well in places like Lenox or Newport, but here in Northfield it stood out as garish and ostentatious, in the midst of a small farming community with otherwise modest houses. The house’s size and style did little to endear Schell to the town, nor did the fact that he enclosed his 125-acre estate with a fence to prevent locals from trespassing on the property. Schell did make at least one major contribution to the town, donating the nearby Schell Bridge over the Connecticut River, although even this was rather self-serving, since it gave him direct access from his house to the railroad station across the river. The Schells spent many summers here in the house, from its completion in 1903 until Francis’s death in 1928. Mary would continue to visit Northfield after his death, although she reportedly stayed at the Northfield Hotel, being unwilling to return to the mansion without Francis. By this point, though, the house had little resale value, despite the extravagance that went in to its design and construction. 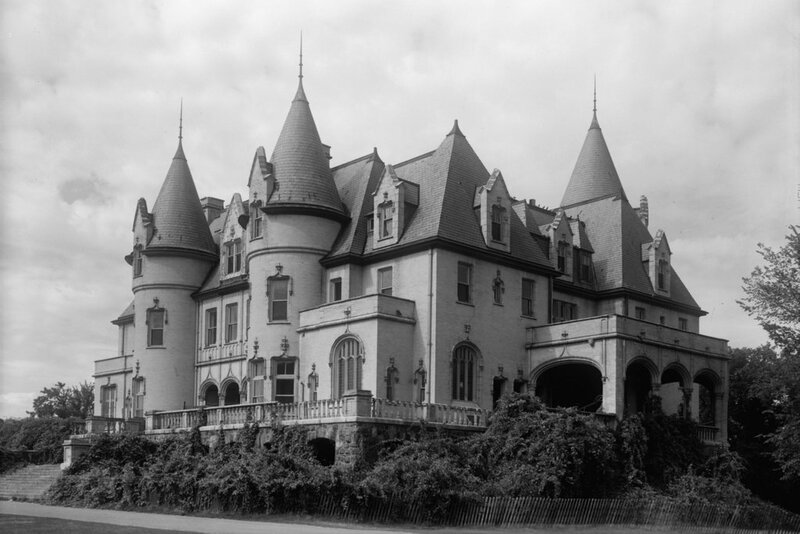 The grand summer houses of the Gilded Age were falling out of fashion, a trend that was accelerated by the onset of the Great Depression in 1929. The house was eventually purchased by the Northfield School, and for many years it was used as the venue for the school’s prom, which became known as “The Chat,” after the chateau. It was also used as an annex for the Northfield Hotel, and at one point the basement was converted into a youth hostel. However, it steadily fell into disrepair, and by the 1960s it was becoming too expensive for the school to maintain. The first photo was taken in 1963, as part of a Historic American Buildings Survey study of the building, and it was demolished later in the year, just 60 years after its completion. 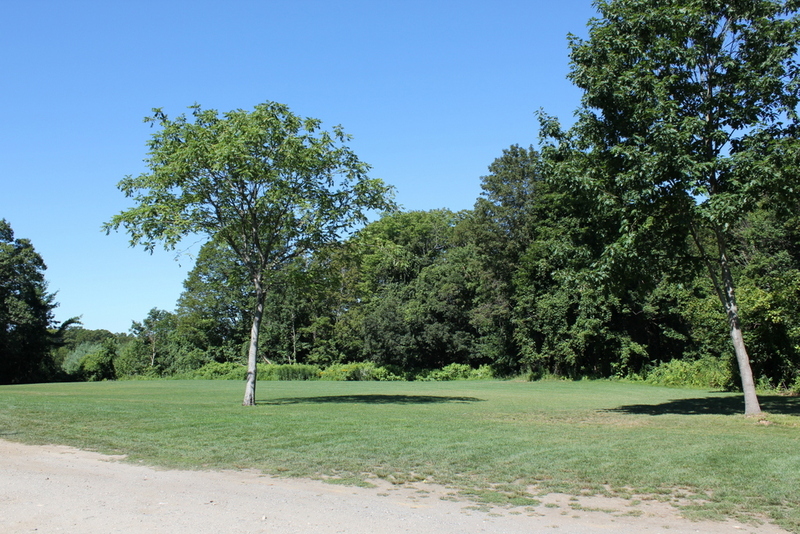 Today, the site of the house is an open field adjacent to the Northfield Golf Club, which is located on the former site of the Northfield Hotel.